North Shore Women in Business (NSWIB) North of Boston is a non-profit women's business organization founded in 1984 and serving the north of Boston communities. Our mission is to foster opportunities for business women to develop professionally and personally through networking, education, and social. Our featured monthly speakers are comprised of prominent business leaders who encourage you through their personal and professional experiences. 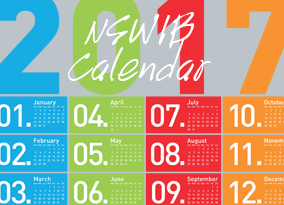 NSWIB features monthly meetings to help North Shore women in business grow and prosper. In addition to monthly meetings, NSWIB also hosts a variety of other programs including Member Mixers, our annual Scholarship Dinner, Board Installation Event in October, and our Annual Membership Fair. We also offer joint networking events with other business organizations throughout the region. Enjoy the company of like-minded, highly-motivated professionals while generating business opportunities. Knowledge is POWER! Our members achieve their goals by using the knowledge they have acquired through our speakers, relationships created and experiences shared. NSWIB is more than a typical networking organization.